Kayaking can be a dangerous sport if you are not prepared in advance for a possible disaster. Having the right safety gear can be the difference from getting back safely or not. I have saved people from the water who started paddling on a sunny, calm day only to return with 35 knot winds. Be prepared. Paddling alone can only lead to disaster. Never paddle alone even if you are capable of rolling and you have all the necessary safety equipment. Make sure that your PFD keeps your head above water if you find yourself in a capsize situation. 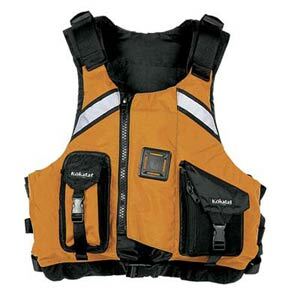 Always wear your PFD as it is impossible to put a PFD on in the water. A PFD is also another layer to keep you warm while in the water. If your kayak does not have bulkheads, your kayak should have flotation bags in the bow and stern. This will keep your kayak floating as well as keep the extra water out of the hatch. 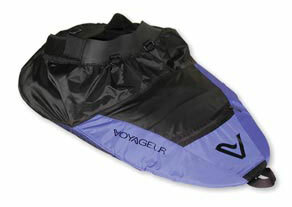 When the time comes to empty the kayak, the flotation bags will make it much easier. What will you do if one of your paddles break? How will you even be able to paddle back to land? The answer is always carry an extra set of paddles. You may never use the extra paddles, but when the time comes, you will be very thankful. Keep the extra set of paddles under the bungee cords over the back of the boat. Always carry a VHF radio in your PFD and know how to use the radio. 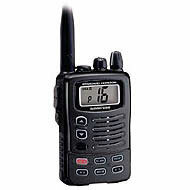 If you ever get in a situation that both of you are in trouble, a VHF radio will be your only solution to be rescued. You can also listen to the weather report that will indicate any weather problems in the area. Pump & Sponge: The pump or sponge will help you bail out extra water that came into your cockpit. Without a pump, you will never be able to bail out that excess water. Whistle, Flares, Mirror or Horns: You must have a way to attract other boaters or people on land to help you. Without communication gear, you won't be found or saved. Spray Skirt: A spray skirt keeps the water from entering the cockpit by wrapping around your waist and attaching to the edges of the cockpit. This keeps the cockpit waterproof and if you can perform a roll, the cockpit will remain relatively dry (few drops of water will get in). There are many types of sprayskirts to choose from. First Aid Kit: Make sure you have a basic first aid kit in your PFD (if possible) or in your kayak hatch. Tow Lines: A simple tow line can be attached to the bungees on the kayak deck at all times to be used in case of an emergency. If you can't paddle properly, the tow line can be attached to kayak that will pull you to safety. A complete tow line can be purchased to wear on your PFD. A paddle float will help you reenter your kayak either by yourself or with the help of another paddler. If you don't practice with a paddle float, it will do you no good when the strong winds were the reason you capsized. You will still remain in the water. Practice does make perfect sense. A knife, attached to a PFD, will be used to cut any bungee cord, debris or anything that wraps and entraps a kayaker. The knife should be stainless steel if you paddle in salt water. Be safe and choose safety gear that will allow you to enjoy your kayaking experiences.